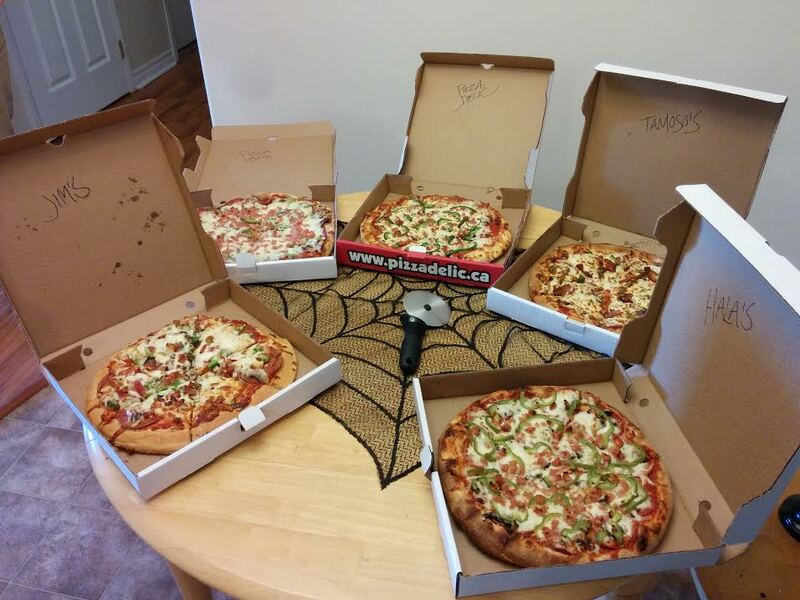 In 2014 I did a Halifax Peninsula Pizza Quest. In 2015 I conquered Dartmouth. 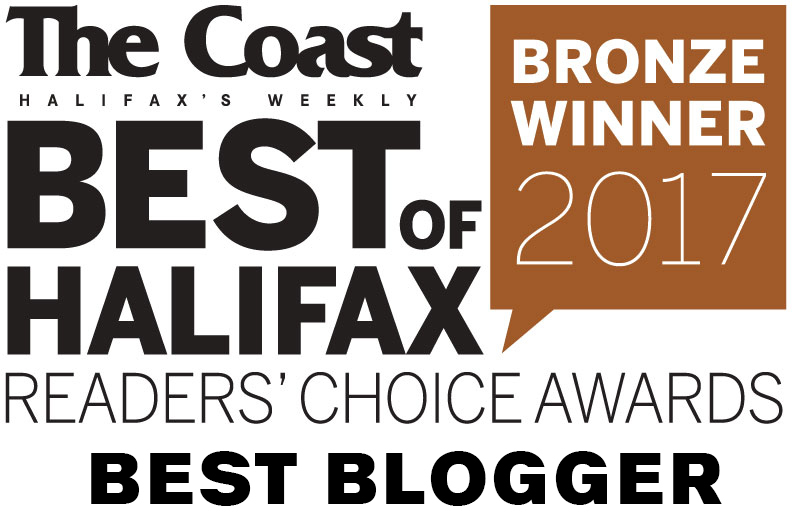 Now in 2016 I’m going to tackle Clayton Park, Fairview and Spryfield! I have been told that this quest should be called the Clayton Park/Rockingham Quest but that’s a long title so call it what you want. (Truth: I never knew Rockingham was a place until now). Jim’s is pick-up only, and Hala’s only delivers Fri/Sat so we had to pick that one up as well. We ordered medium pizzas with green pepper, mushroom, pepperoni and bacon. These pizzas were judged by 5 attendees on their Sauce, Crust, Cheese, Toppings and Overall. Everyone was asked to pick their top 3 and a #1. This pizza was cheesy and had an “intense tomato flavour” that made Denton think of a “pasta sandwich”. LuShark felt the sauce was salty and overbearing while others enjoyed the rich flavour. The crust was soft and fluffy in the most mediocre of ways. 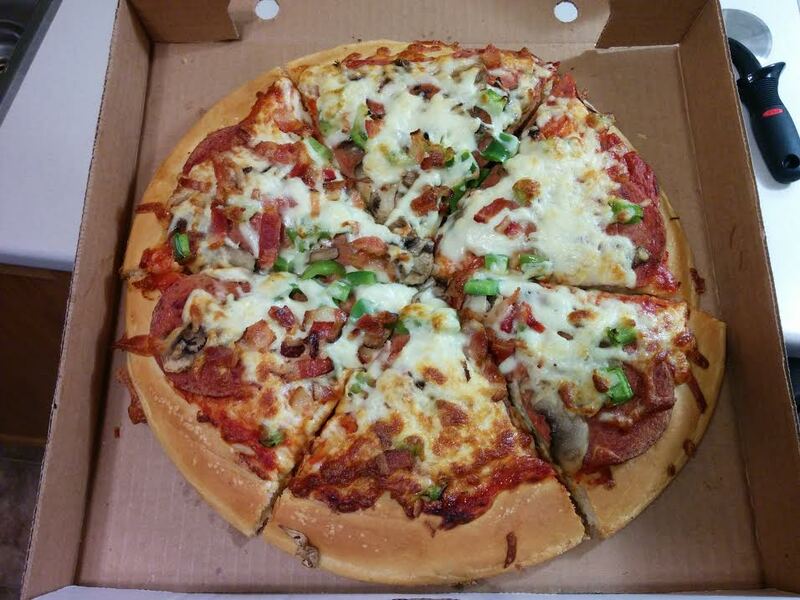 The toppings were average, except for the zippy pepperoni which contributed a spicy kick to this flavourful pizza. Best scores were for sauce and cheese. This was the #1 pick for LA and ReTales. Tomaso’s scored first place in the Sauce, Cheese and Toppings categories, while its crust merited a 2nd place finish. Everyone admired the plentiful, browned cheese and the strips of real bacon. The cheese seemed to be of better quality than its competitors. It wasn’t “plastic cheese”, as LuShark likes to say. I appreciated the use of real bacon, even if it was a bit chewy. The rest of the toppings were pretty scarce and points were lost there. The crust was on the softer side, with a bit of a chew, but not much flavour. However, the tomato-forward sauce was adored by all for its fresh taste and simplicity. Tomaso’s was on everyone’s top 3 list, but only LuShark chose it as #1. This pizza lost some points for the under-cooked, plastic looking cheese, but tied 2nd place for its toppings which were plentiful. Lots of green peppers and mushrooms! The crust and sauce were nothing special. I said, “Where’s the sauce?” and ReTales assured me it was there but that it didn’t have much flavour. Denton thought this pizza would only fare well against “cheap, fast food pizzas” and ReTales compared it to a drunken slice – “functional but forgettable”. LuShark liked this one for its generous toppings and non-offensive flavour. 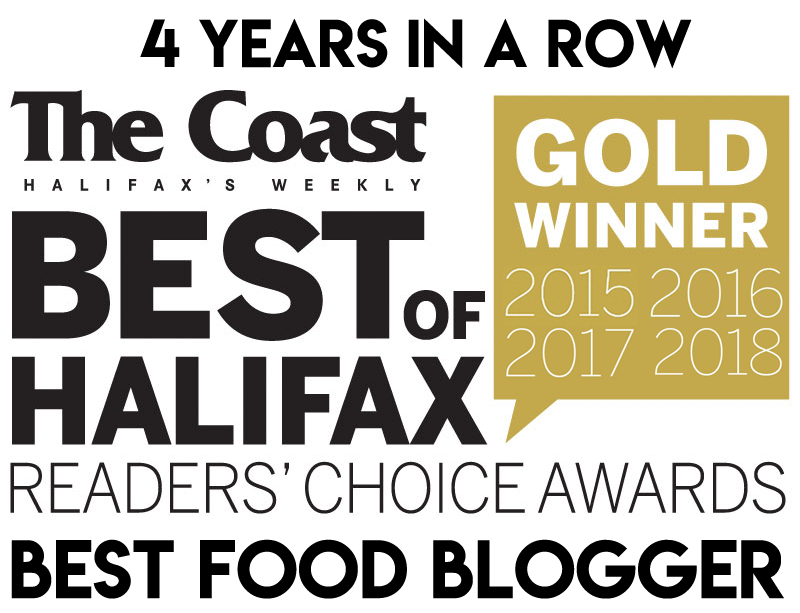 Pizza Land made it on two of the top 3 lists. Jim’s is a family restaurant specializing in seafood and pizza. It is pick-up only but we included it because it seems like a place residents might go to get their pizza. The crust was the biggest deal breaker here. It was super puffy, but dry and flavourless. There wasn’t enough cheese to justify such a hefty crust. Denton wrote that “the blandness of the crust is overpowering the ingredients”. There was a sweet and salty flavour coming from the sauce and meats. Real bacon was used, but ReTales felt that it didn’t impart enough bacony flavour. The green pepper was too chunky but the pepperoni was decent. The toppings were one of the only redeeming qualities of this pizza. I had never heard a thing about this place so I wasn’t expecting much – but it surprised me! Hala’s scored first place for their crust, which was nice and crispy on the bottom with lovely black bubbles on the edges. I’d say they use a real stone pizza oven. 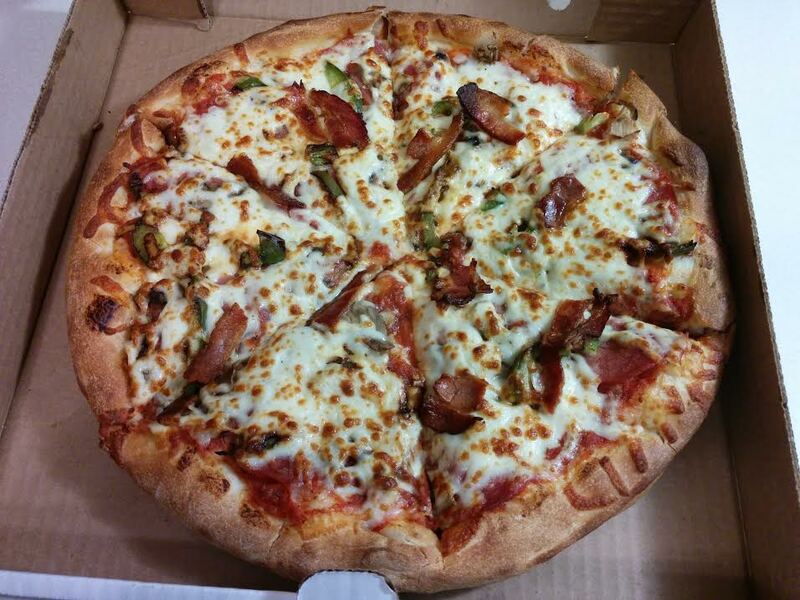 The toppings were fresh and plentiful. This pizza performed well in the Sauce, Cheese and Toppings categories and was the #1 pick for Denton and myself! *According to the menu, a medium Works is $14.79 whereas a cheese pizza is $11.30 and $1.50 for each additional topping. When I called and asked for a price, I was told $17.30! How could a 4-topper cost more than the works, I asked?! Apparently some toppings will cost the $1.50 and not others. 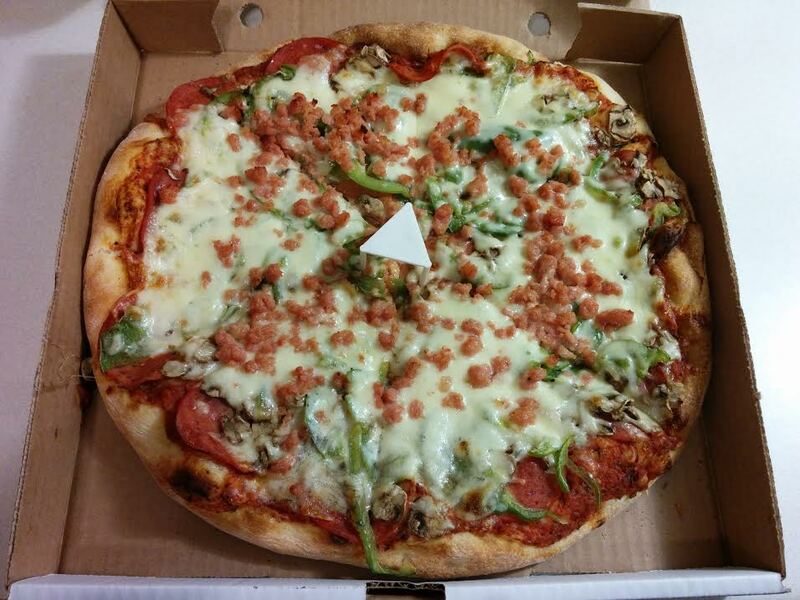 We were able to get our pizza for the price of a regular Works ($14.79). Very absurd cost structure here! Best Value: Tomaso’s is the best quality and also the cheapest! 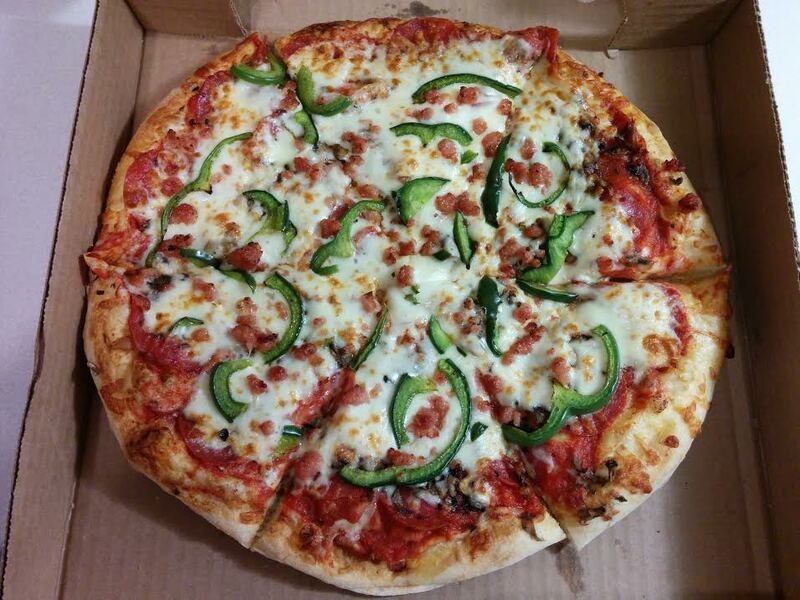 Tomaso’s scored the most points and was the only pizzeria to make everybody’s top 3 list. However, only one person chose it as their #1 pick. The remaining votes were split down the middle between Hala’s and Pizzadelic. While Hala’s had the best crust and the most toppings of the three, Tomaso’s had the best quality ingredients all around. The cheese and sauce alone warrant the #1 finish. 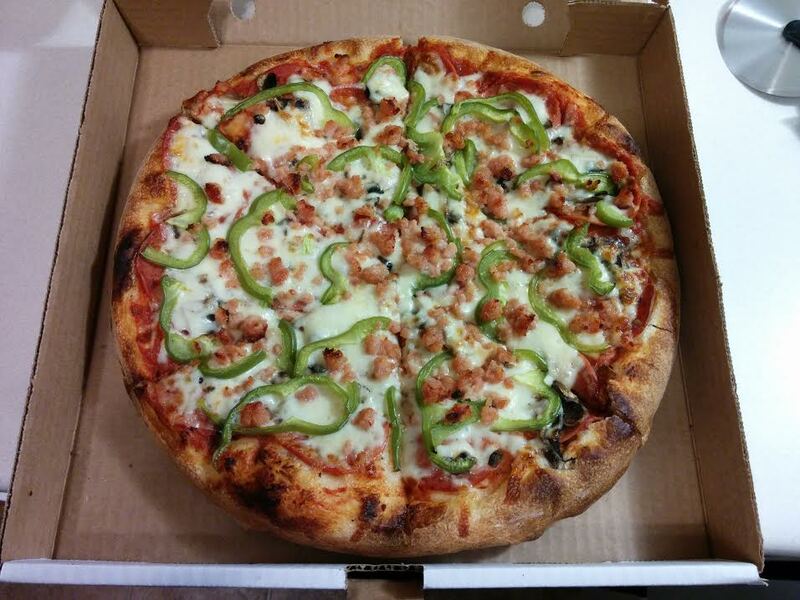 If Tomaso’s was a little more generous with their toppings this would be a spectacular pie! Pizzadelic had a big flavour and lots of cheese, so I can see why it is a popular choice … and yet I don’t quite get the hype.